This is a replacement part for a pocket door. It screws into the top of the door and provides the bearing surface for the door to slide on it's rails. It is designed to be printed in PLA, investment cast, and then threaded. The thread pitch for the original part that was duplicated was 5/16-32, so was too fine to print or cast successfully. 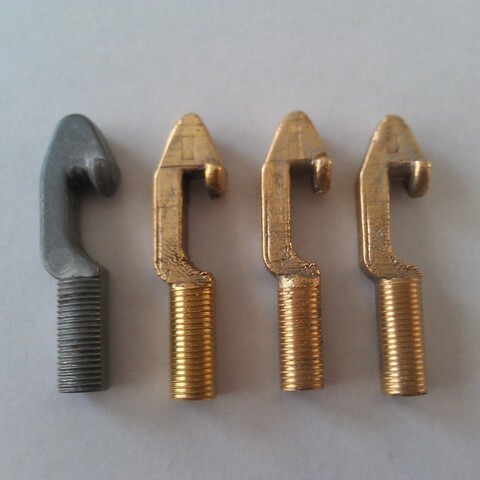 In the picture, the original die cast piece is on the left and three replacement parts that were printed in PLA and then cast in brass are shown on the right.